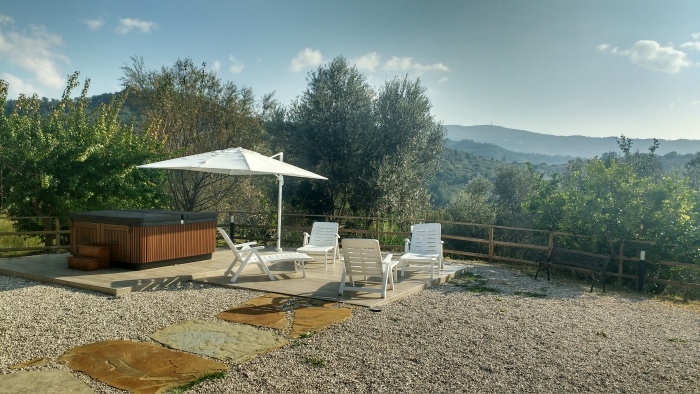 Large well appointed house set amongst the olive groves in the hills above Agripoli. Enjoyed a great welcome from fantastic hosts who made us feel at home. The patio had a fantastic view and a great jacuzzi where you could relax in the evening, enjoy the sounds of the cattle bells in the distance and the cicadas all around. This is a perfect spot from which to explore this part of the Italian coast and Agripoli is the gateway to Cilento and Vallo di Diano National Park with its spectacular coastline of mountains down to the sea and lovely coastal villages with beautiful beaches. A really great place to enjoy your Italian adventure.